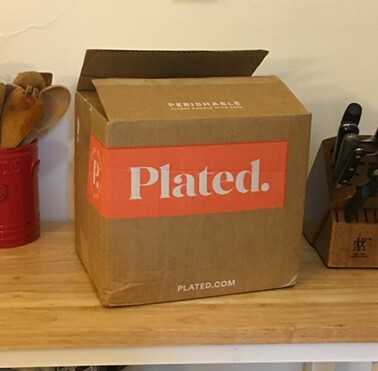 Plated Review: Is This Organic Meal Delivery Service A Hit? Focused on helping others to eat well, Plated was launched back in 2012. Their team is passionate about curated cuisine and they’ve developed a way to help people around the country eat better foods and learn how to become more confident and skilled in the kitchen. Not only that, but it’s provided many with an opportunity to come together around the dinner table and enjoy a delicious meal together. For anyone looking to prepare home-cooked meals for their family or just for themselves, Plated is a great option to consider. They provide a great selection of meals for you to choose from each week and will make dinnertime much easier in your household. There’s no more meal prep to worry about and it should cut down on the time you spend in the grocery store, which is a huge plus! 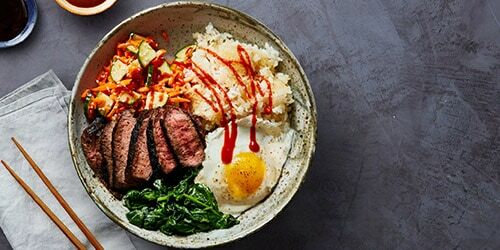 To learn more about Plated and how to get started with their service, we’re breaking down all the details you need to know so you can decide if it’s the right food subscription for you. 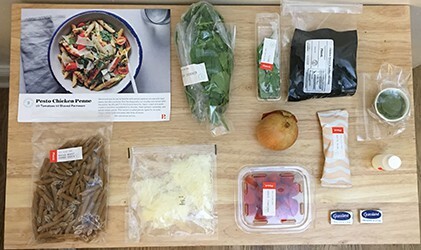 If you’re ready to get started with Plated and order your first box, you’re likely wondering what your first step should be. Fortunately, Plated has made it incredibly easy to get started with their food subscription service. Once you click the “Sign Up” button on their website, they’ll walk you through the steps of creating your box and placing the order. The first thing you’ll be asked is how much you’d like to cook. Plated gives you a few options to choose from so you’re able to customize the box to your needs. You can choose to receive two servings per night, three servings per night, or four servings per night. Your answer to this question is most likely going to depend on how many people you’re feeding. You might need a box that accommodates just you, you and a significant other, or you and your family. In fact, Plated suggests the two servings box is perfect for two adults, one adult and two children, and for anyone who enjoys having leftovers (my favorite). The three servings box is said to be ideal for three adults, two adults and two children, and two adults and one teenager. The four serving box will be your choice if you need meals for two adults and three children, two adults and two teenagers, or if you like family-style dining. You’re then asked to choose how many nights per week you’d like to have meals for. The options are two nights, three nights, or four nights. Once you’ve done this, you’re directed to a page that requests your contact information and address, then you’ll be prompted to add credit card information to pay for your subscription. I was blown away at how simple it was to choose your options and get your first order shipped. It’s as simple as figuring out how much food you’d like to receive and you’re done. Plated even offers a free night when you try out their service (a limited time offer). The culinary team at Plated strives to create unique meals their customers are going to love. When you take a look at their menu, you’ll immediately notice that these dishes aren’t what you’re probably used to whipping up in the kitchen, but that’s actually a good thing. These unique, fun, and interesting dishes allow you to expand your palate by trying something new instead of falling into the habit of eating the same old thing. They don’t offer breakfast or lunch options like some food subscription services, but they are focused on providing amazing dinners. You’ll find tasty sandwiches such as: Crispy Chicken Sandwiches with Old Bay Aioli, BBQ Mushroom Sliders with Slaw and Sautéed Green Beans, Grilled Caprese Burgers with Pesto Aioli, and Eggplant Sandwiches with Herb Salad. They have plenty of dishes that include chicken as the protein, including Herb Roasted Chicken with Caramelized Spring Vegetables and Pan-Roasted Chicken with Tomatillo Sauce and Corn Salsa. If you’re a seafood fan, you’ll enjoy dishes like: Cod with Tomato Olive Sauce and Garlic Chips, Coconut Curry-Crusted Cod with Jasmine Rice, and Crispy Fish Lettuce Wraps with Corn Salad and Lime Crema. If you’re a vegetarian, there are options for you as well. You’ll find options such as: Vegetable Sushi Bowls with Wasabi Mayo and Nori, Middle Eastern Eggplant Sabich with Harissa Humus and Israeli Salad, and even a Summer Quinoa Bowl with Burrata, Candied Almonds, and Arugula. You can very easily pick out the vegetarian meals so you can be sure everything fits within your dietary needs. Having the ability to select your preferred meals each week will ensure you only get the ingredients for dishes you’re truly interested in eating. Select the ones you’ll know you love, but don’t be afraid to step outside your comfort zone and experiment with something new that you’ve never had before. Plated knows just how nice it is to have a delectable dessert to finish off your dinner, which is why they provide a few options for you to choose from every week. You’ll find desserts such as Almond and Blackberry Jam Bars with Crunchy Almond Streusel, No-Churn Ice Cream with Chocolate Coconut Sauce, Skillet Berry Crumble with Crunchy Oat Topping, Peach and Berry Empanadas with Basil Whipped Cream, and No-Churn Coffee Ice Cream with Chocolate Sauce and Sea Salt. Each dessert is four servings and will make the perfect addition to your box. Once you’ve placed your order, you will receive an email with tracking information so you can keep an eye on your delivery every step of the way through transport. This ensures you’ll know exactly when your box will arrive. Most deliveries will arrive before 5 PM, but Plated’s delivery window actually extends to 8 PM because there can be delays during transportation. The good news is, you don’t have to be home in order to receive your delivery because a signature is not required. Your mail carrier will be able to leave the box on your doorstep for you. When you arrive home, it’ll be right there waiting for you. You just want to be sure to unpack everything as soon as possible and store everything that needs to be kept cold inside the refrigerator. Plated will deliver to all of the continental United States, which unfortunately excludes Alaska and Hawaii. If you want to be sure they’ll deliver to your area, you can always check with their website for more detailed information on shipping. If you ever need to skip a delivery, you can do that through your online account. You can even “unskip” a week if you need to. When making changes to your delivery options, please be sure to do so by noon six days prior to your box’s scheduled delivery date. This will ensure Plated receives those changes in time for them to go into effect. When shipping food that needs to be kept cold, there’s always a concern that items could spoil. However, the food subscription services that are available today have been able to master the art of keeping ingredients at the optimal temperature during transportation. In fact, Plated states their insulated boxes have been designed to keep ingredients fresh until midnight on your delivery day. This is made possible due to the impressive insulation and cold gel pack technology they use. Plated even uses recyclable packaging for their boxes. The cardboard boxes they use are not only 100% recyclable, they are also made from 100% recycled content. The lining of your box will depend on the season and your location. You might find jute (brown) or denim (blue) insulation inside your box. The jute blend in 100% compostable and can also be used as a weed barrier in your garden. The denim lining is made of recycled ingredients and can be reused, donated, or simply disposed of. The water-soluble gel packs are both non-toxic and non-hazardous, so you don’t have to be concerned about them. Plated recommends getting rid of the gel by disposing of it with your regular trash. You can then recycle the plastic at a facility that accepts #4 plastic. You’ll also find that the ingredients are packaged inside a green bag. This bag absorbs ethylene gas, which is a compound that increases the rate of ripening. You can reuse this bag when purchasing produce at the grocery store, thus eliminating the waste that plastic bags create for our environment. The fact that Plated makes nearly their entire package recyclable is very impressive and something that should put them ahead of the competition in my opinion. Plated is committed to using only high-quality ingredients for their boxes. They use organic produce and locally-sourced ingredients. All of the meat for your meals is 100% antibiotic-free and the beef is made without added hormones. They even use sustainably-sourced fish whenever possible. They also get ingredients from trusted sources so they can be sure of the quality and so you can receive the absolute best. With only the best ingredients arriving on your doorstep, you can be sure everything is going to taste fresh and delicious. Due to the insulated packaging and gel packs that are used during shipping, everything will arrive at its optimal temperature and will still be safe for you to consume. They do recommend cooking seafood dishes within two days of receiving your box to avoid losing any freshness. For all other meals, they can be enjoyed within five days. Keep this in mind and plan your meals accordingly and you’ll be good to go. For someone who isn’t used to being in the kitchen, you might feel intimidated by the food subscription services that provide with you just ingredients and a recipe. But the reality is, you don’t have to be a trained chef to prepare a fantastic meal. Plated makes it easy for you to get into the kitchen and whip up a meal that you can be proud of and that your family will enjoy. They make everything incredibly easy by providing you the exact amount of each ingredient you’ll need for your meal. This means you don’t have to worry about items going to waste afterwards because everything will be used up. Meals are also perfectly portioned, so you don’t have to worry about throwing away unwanted leftovers either. Because everything is individually packed and pre-portioned, it will save you loads of time in preparation. You’re also provided with the step-by-step recipe for every meal in your box, making it easy to follow along. You don’t have to be frightened by this because Plated makes everything simple for you. With detailed steps to guide you along the way, you’ll never have to guess what to do next. Even someone who hasn’t done much cooking can feel confident in preparing any of the meals they provide their customers. Before you know it, you’ll feel much more comfortable in the kitchen. It is important to keep in mind that Plated doesn’t provide you with everything you need to cook your meals. While they provide all the main ingredients, you’ll want to have a few staples in your pantry so you have them at a moment’s notice. You’ll want to stay stocked up on things like salt and pepper, olive oil, and vegetable oil. When you consider that Plated is committed to providing their customers with only the best ingredients, it’s safe to expect that everything is going to taste amazing. Every piece of produce and every cut of meat is fresh, which is going to make every dish taste even better. As mentioned above, they choose organic produce and locally-sourced ingredients whenever possible. They also stick to meats that are 100% antibiotic free and beef that is made without added hormones. Real ingredients means you’re getting a better tasting (and healthier) dinner. As for how individual recipes taste, they bring back a few fan favorites every month (along with the weekly recipes) and it’s easy to see just why so many of them were popular. The Grilled Chicken Cobb Salad with Caramelized Mushrooms is perfect for those nights when you want something lighter, but need a satisfying meal. The ranch dressing made from Greek yogurt is the best topping for this salad that’s filled with romaine, chicken, tomato, avocado, and mushrooms. The Italian Steak Salad with Pepperoncini and Roasted Tomatoes is another fantastic dish. A high-quality cut of steak is paired with a tart-sweet sherry vinaigrette and placed on a bed of romaine, radicchio, and tomatoes. The Salmon Burgers with Chive Aioli and Mâche are surprisingly easy to prepare and the fish was rich and delicious. The chive aioli suited it nicely and is perfect when topped off with a toasted brioche bun. How much you wind up paying each week is obviously going to depend on which plan you pick. The more meals you get and more servings you request, the more your box is going to cost of course. Keep this in mind when placing your order so you don’t get more than you can afford. If you choose the two servings option, the servings will cost about $11.95 each. The plan that provides you with three servings per night comes to about $9.95 per serving. And the four servings plan also comes out to $9.95 per serving. If you choose either the two servings or three servings options, you will also be charged $7.95 for shipping on each box. The four servings box actually gets you free shipping, which is always a nice bonus. When joining Plated, you’ll be charged for your first box upon signing up. You’ll also be charged $1 at sign-up simply to confirm your payment information, so don’t panic if you see this on your credit card account. You will be refunded this $1 within 24 hours. All subsequent boxes will be charged four days before your delivery date. Remember, you can also skip weeks whenever you need to. This will come in handy if you’re ever going out of town or simply want to take a break from receiving Plated meals. You can also cancel your subscription at any time. If you’re looking for a way to easily prepare meals in your own home, you’ll want to give Plated a closer look. There’s no need to stress about meal planning anymore. All you have to do is log into your Plated account and choose the recipes you’d like to receive. Then, you just have to wait for everything to arrive on your doorstep. All of the ingredients are packaged and perfectly portioned according to your needs. By providing you with exactly what you need to cook each meal, it’s going to cut down on food waste and help you save some cash, since you won’t have to spend on more than what you really need. Not only that, but Plated will give you the confidence to get into the kitchen and start cooking. Everything is made easy with their step-by-step recipes. You won’t just put delicious meals on your table, but you’ll also grow your skills as a cook, which is truly priceless in the end. Plated is one of the biggest meal delivery companies currently around. It's obtained this level of popularity by focusing on delivering unique and delicious meals to all of its customers. If you're looking for a good and reliable meal delivery service, Plated is your best option. Tried Plated because I enjoy cooking and find it relaxing. Didn’t have much luck with some of the “other guys” but a coworker of mine raved about Plated so I thought I would give it a shot. The meals were definitely unique and fun to make. Taste test… Yes, it was delicious. Tried all of the “big guys” (HelloFresh, Blue Apron) when it comes to meal delivery services. Plated was basically like the ones I’ve tried before but with more unique meals… At least for me. If I had to decide long-term which one I wanted to use, it would probably be Plated. Saw them on Shark Tank and the family and I decided to order! So good! !